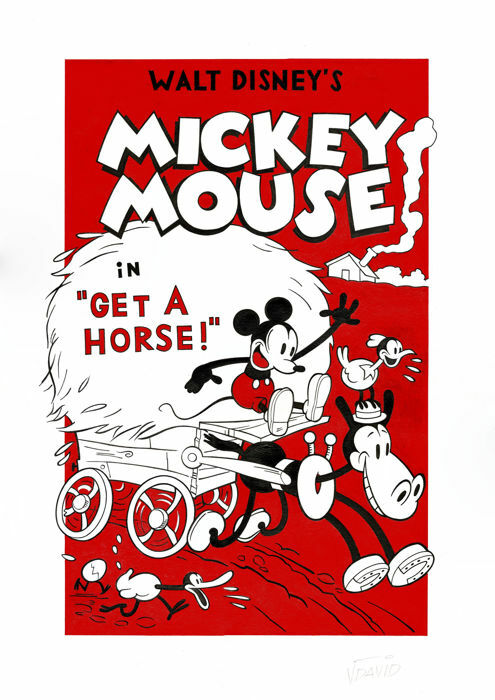 Mickey Mouse - Get A Horse! 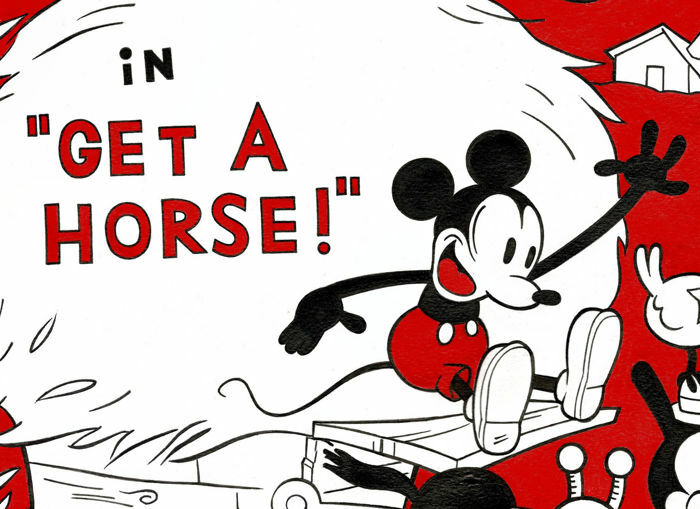 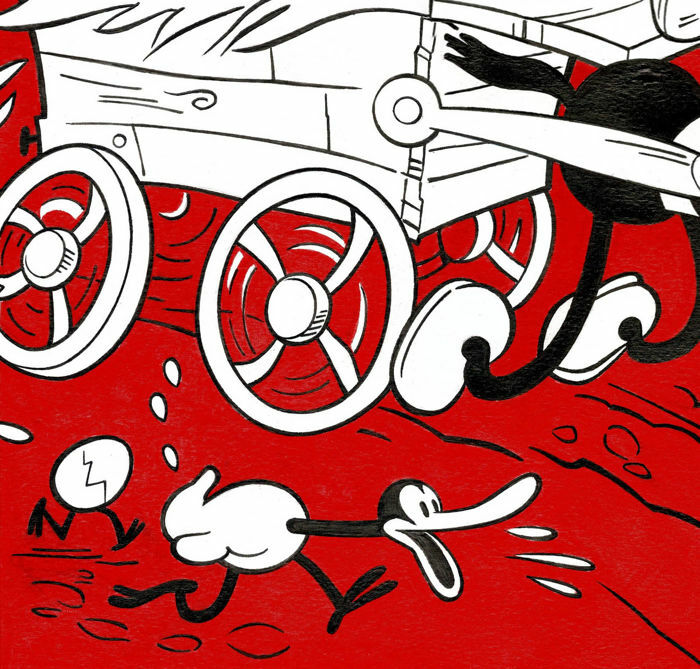 This original drawing is a unbelievable hand-drawn replica of the Disney short film "Get a Horse!" 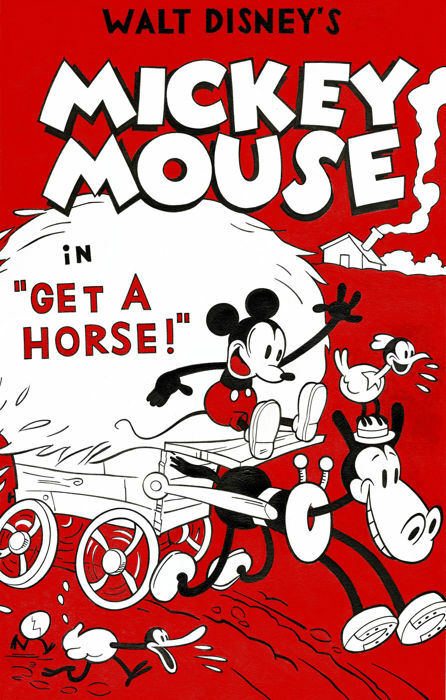 original poster. 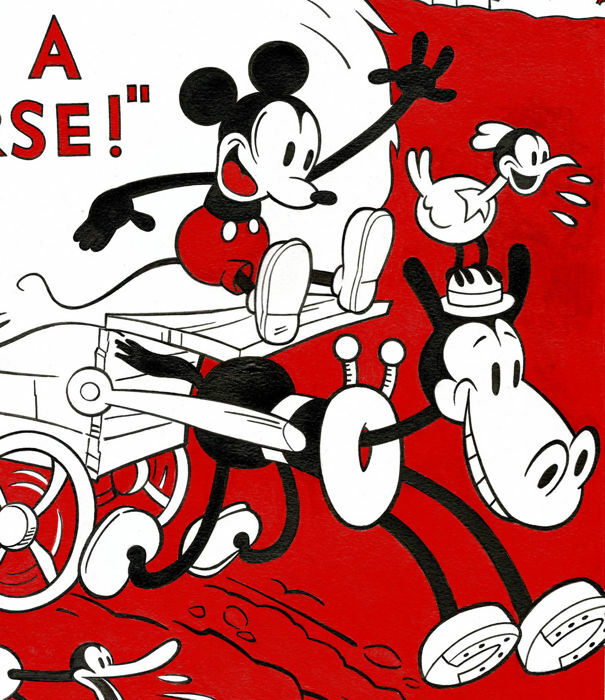 This exquisite original replica has been drawn by Jordi David Redó, a Spanish artist who worked for many years for “Disney” publishing in Denmark (Gutenberghus/Egmont Group) and collaborated in the Danish “Donald Duck”magazine for thirty years illustrating numerous stories. 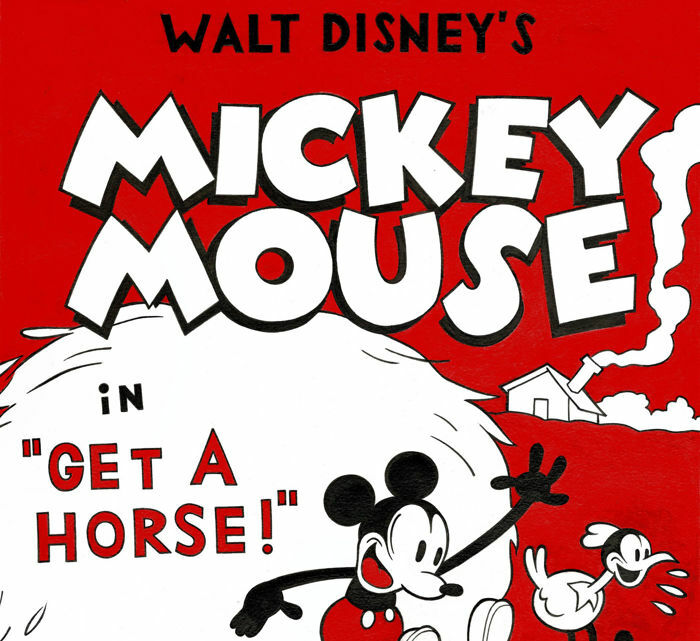 Some of these works were also published in the German “Micky Maus” magazine. 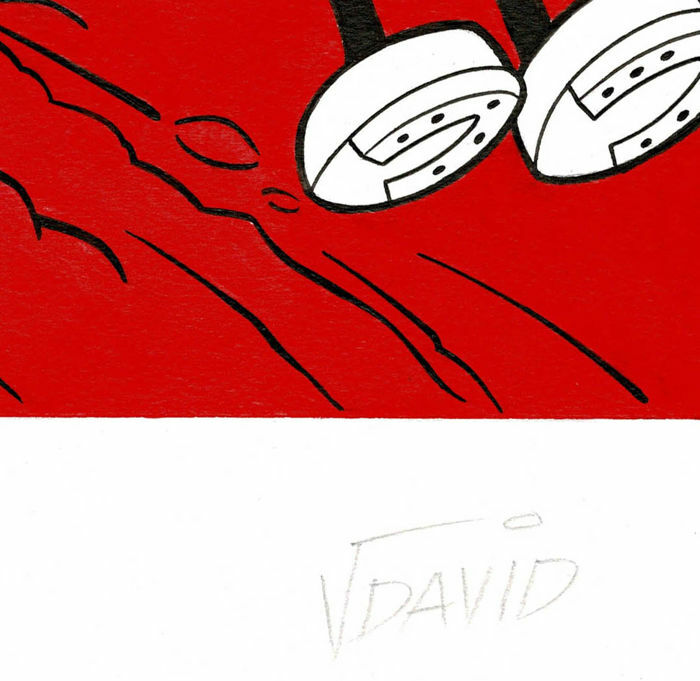 This exceptional artwork comes from Jordi David's personal collection and has been specially selected by himself to its distribution.